Gestalt psychology  is a theory of mind and brain formed in Berlin early in the 20th century. The idea is that the brain sees things as a whole. The gestalt effect is most clear with sight. We recognise figures and whole forms, not just a collection of lines and curves. In psychology, gestaltism is often opposed to structuralism. The phrase "The whole is greater than the sum of the parts" is often used when explaining Gestalt theory. A better wording is : "The whole is different from the parts". "We are innately driven to experience things in as good a gestalt as possible. “Good” can mean many things here, such a regular, orderly, simplicity, symmetry, and so on, which then refer to specific gestalt laws". "The original observation was Wertheimer’s, when he noted that we perceive motion where there is nothing more than a rapid sequence of individual sensory events. This is what he saw in the toy stroboscope he bought at the Frankfurt train station, and what he saw in his laboratory when he experimented with lights flashing in rapid succession (like the Christmas lights that appear to course around the tree, or the fancy neon signs in Las Vegas that seem to move). The effect is called apparent motion, and it is actually the basic principle of motion pictures". Early 20th century theorists, such as Kurt Koffka, Max Wertheimer, and Wolfgang Köhler (students of Carl Stumpf) saw vision of objects as all elements taken together in a global construct. This 'gestalt' or 'whole form' approach sought to understand perception – seemingly innate mental laws which determined the way in which objects are perceived. It is based on the here and now, and in the way you view things. 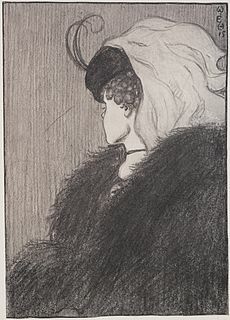 It can be broken up into two: figure or ground, at first glance do you see the figure in front of you or the background? These laws took several forms. An example is the way we tend to see similar objects, or close together objects, as meaningfully connected. Gestalt has been criticized for being merely descriptive, but it has formed the basis of much further research into the perception of patterns and objects, and of research into behavior, thinking, problem solving and psychopathology. Gestalt psychology was a forerunner to modern cognitive psychology. It is distinct from gestalt psychotherapy. Gestalt psychologists were the first to study problem solving in humans and apes. Wolfgang Kohler showed that chimpanzees could solve problems by thought alone; Max Wertheimer studied how diagrams helped students solve geometry problems, and Karl Duncker studied general problem-solving. Generally, both Wertheimer and Duncker preferred the broader term 'productive thinking' to 'problem solving', but it is not used much now. ↑ German: Gestalt – "essence or shape of an entity's complete form"
↑ Boring Edwin G. 1950. A history of experimental psychology. 2nd ed, Appleton-Century-Crofts, New York. Chapter 23 Gestalt psychology. ↑ Petermann, Bruno 1932. The Gestalt theory and the problem of configuration. Kegan Paul, London. ↑ Mandler G. 2007 A history of modern experimental psychology: From James and Wundt to cognitive science. Cambridge, MA: MIT Press. ↑ Kohler, Wolfgang. 1925. The mentality of apes, transl. from the 2nd German edition by Ella Winter. Kegan, Trench: London and Harcourt, Brace and World: New York. Original was Intelligenzprüfungen an Anthropoiden, Berlin 1917. 2nd German edition was titled Intelligenzprüfungen an Menschenaffen, Springer, Berlin 1921. ↑ Wertheimer, Max  1959. Productive thinking. Harper & Row, enlarged edition. This page was last changed on 15 October 2013, at 12:17.